This new 3.5" spinner was designed specifically for the 74" Slick 580 EXP as well as several new releases that are on the horizon. 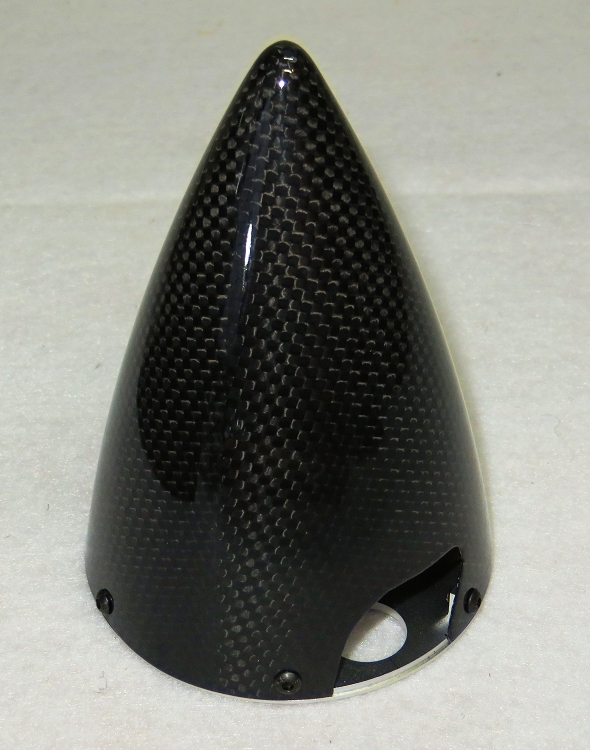 It features a carbon fiber cone that attaches with perimeter bolts to the machined aluminum backplate. The center hole for the prop shaft is 10mm with an included spacer that reduces this to 8mm. The cone is cut for most props up to 22x10 and can be easily enlarged with a rotary tool and drum sander attachment if needed.